Though Mageia 6’s development was much longer than anticipated, we took the time to polish it and ensure that it will be our greatest release so far. We thank our community for their patience, and also our packagers and QA team who provided an extended support for Mageia 5 far beyond the initial schedule. Successful integration of the ARM port (ARMv5 and ARMv7) in the buildsystem, allowing to setup ARM chroots. Installation images are not available yet but will come in the future. While not a new feature, Mageia 6 supports over 25 desktop environments and window managers (more details in an upcoming blog post)! Full details of these highlights can be read in the Release Notes, and several of those will be detailed in their own blog posts in the coming weeks. Most user-facing applications are very recent releases, bringing Mageia users the best of free and open source software projects of 2017. Core components of the distribution use slightly more conservative versions, allowing for a good tradeoff between new developments and stability. During this development cycle, we changed the ISO lineup to include Xfce Live images (32-bit and 64-bit), and remove 32-bit GNOME and Plasma Live images as well as the dual-arch installer. For those that still want to install 32-bit Plasma or GNOME, they are available on the Classical Installer or through network installation. All of these ISOs are hybrid, so they can be used on both USB sticks and DVDs; if a bootable CD is required, several network install images are available that can utilise many sources to complete an installation including a local or network mirror and the Classical Installer image. See the documentation for more info on the installation possibilities. We have created a full new theme for Mageia 6 that includes improvements with image scaling during boot time as well as a new iconset and improvements in the look of all Mageia-specific applications such as the Control Center (MCC). 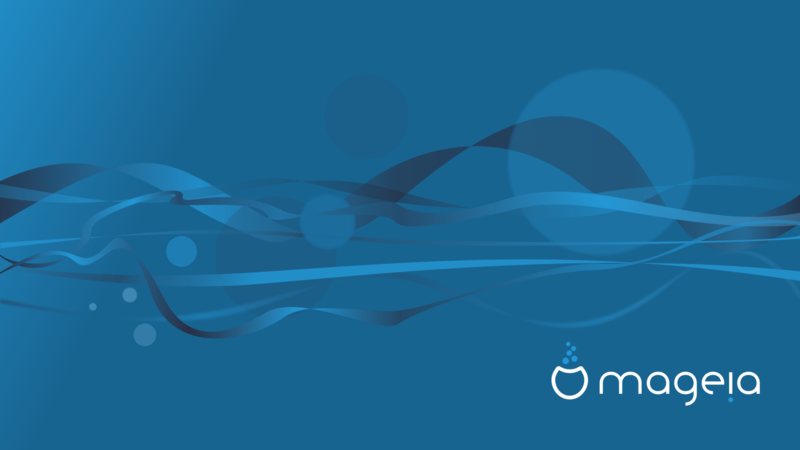 A big thanks to Timothée Giet for his work on modernizing and unifying Mageia’s looks! The new theme includes a new signature background by Jacques Daugeron and additional images that include those selected by the Mageia Council from the community background contest as well as the signature wallpapers from previous releases. There are also new screensavers created from the background contest. For those wondering about Mageia 5 – it will still be supported for 3 months, with an expected end of life on 31st October 2017, giving you some time to upgrade. That will make it our longest supported release so far, as it was released in June 2015! Mageia 6 will be supported for at least 18 months, i.e. until 16th January 2019. If the support duration were to be extended as it was for Mageia 5, it will be announced on this blog and updated on the website. Our team of developers, packagers, QA testers, bug reporters and triagers, documentation writers, translators and sysadmins have all worked super-hard to bring Mageia 6 to readiness, and we thank them all for their voluntary work on our community-led independent project! We are all gratefully aware of the amazing work of all the Free Software projects that we distribute, such as the Linux kernel, the GNU project, systemd, X.org, Mesa 3D, KDE, GNOME, Xfce, Mozilla, LibreOffice and many others. This also includes the other GNU/Linux distributions we collaborate with and all the many, many people writing and testing free software – thanks to you all for inspiring us and making the great software that forms the foundation of Mageia. This entry was posted in community, Mageia, release, users. Bookmark the permalink. 67 Responses to Announcing Mageia 6, finally ready to shine! Simply Amazing Guys , The best community driven distro. You achive so many things in Mag6 that’s is almost unbelievable. Long live Drake spirit ! The screenshot of the Control Center looks beautiful, grub2 as default, dnf – very nice =) And I really like the philosophy of combining very recent user applications with more conservative core components. Brilliant, I’m really impressed and can’t wait to install it! Haven’t used a Mandriva based distro since 2008 and I saw that you had an XFCE live version available and I have been trying EVERY distro that I can think of that has XFCE and I may have found my stopping point. I am going to leave this on for a few days to see how it runs. So far it is nice. Great job! May try the plasma version too on another computer. Congratulations on yet another fine release! You people are amazing. Please I upgraded my mageia to version 6 and I failed, please help me. my version 5 was working perfectly and last night I upgrated, when finished it shows me a message with unknown characters (squares □□□□□ ) this message was with two buttons and when I clicked on the left one the system logged out and I restart the system and after that there is nothing, I can’t even get the screen of users login, the screen is blank, I tryied to change the boot by choosing other kernels and nothing is happened, I have choosen safe mode and also nothing,always blank screen. Try to boot in runlevel 3 mode to reach a terminal: to do so, edit the boot command line in grub (with “e”), and add “3” to the kernel command line (the one near the bottom with “linux” and various options like “splash quiet” etc.). I am currently on live mode with Mga5.1 kde live dvd, so would you like to tell me what I should to do to fix this problem. Well, what I wrote above. I have too little information to tell you what to change from a Mageia 5 Live DVD, so you need to boot the actual Mageia 6 system in runlevel 3 mode as I described, and check if the upgrade was well completed and if X11 is well configured (those being two “usual suspects” for upgrade failures). so for the 1st option I confirmed that the upgrade is finished by the command you gave me. for the 2nd option, how could I rename the file xorg.conf? and witch command I should use ? If you can reach a terminal already that’s good, that’s what I wanted you to achieve with runlevel 3. You can do `mv /etc/X11/xorg.conf /etc/X11/xorg.conf.save` and reboot – if all goes well, it should boot properly. and it stays like this. Congratulations to all the team and community for this huge, hard and long (!) work. And now, Shine on Us, Crazy Diamond !!! I know for me a few things that were working on the release candidate version are not included or not working on the released version. When I go to do the printer it shows that an i586 perl version is not installed which was not an issue with the release candidate. Also mate tweak does not seem to be included and was in the release candidate version. I can only install the beta version as the 17 version will not let me install. The beta version is like 3. some thing and that version does not have the same options that were released in the release candidate version. Also the flash player plugin seems to be version 26 for i586 but version 11 for x86_64. I will give it some days to I guess update the mirrors so that I can get the software that I need. It sounds like you’re on a pretty outdated mirror, which one is it? (you can check with `urpmq –list-url`). I decided to do a reinstall but this time I picked a http connection. Before I just did the install with out picking any thing extra so this might have been why. After this every thing was updated and I was able to install the printer and also get tweak-mate installed as well. It also had the latest version of Adobe installed when I did the install this way. Pingback: Mageia 6 já está disponível para download! Baixe agora! Folder view and image icon is all messed up …played around in dconf changed a few settings, got folders back to normal icon but I lost image preview icon, its just default? I want the folders, image, video icons and preview set to normal like in Mageia 5. If you get this sorted I will reinstall Mageia 6. I was looking forward to this. Another note, I cannot change theme for GIMP it looks terrible, why isn’t it going to Adwaita ? Thumbs down on GNOME UI. Apparently installing phonon4-qt5-gstreamer fixed the issue for this user. It’s the first I hear about sound issues, but if it’s confirmed it should likely be added in the errata. Do you have sound issues in a new user account too? If not, it might be that KDE4 defaulted to phonon-gstreamer and Plasma 5 defaults to phonon-vlc, and since the former is not installed by default the old KDE4 config messes things up. 2: That’s weird. Maybe try to redefine the password of the second user? Some desktop enivoronments have autologin settings. I forgot to tell you I had kde, gnome shell, gnome classic, mate, and xfce desktop on my mga5 but this time I only reinstalled gnome shell from its appropriate dvd. away like the wallapaper, bookmarks, some gnome shell extensions…. The problem still persists no sound even I tried phonon4-qt5-gstreamer and I installed also VLC but no sound as well. As I said I don’t have KDE in this new installation. for the second problem I redefined the password and it’s done. I’m waiting for the problem of the sound. It would be wonderful if you found the right forum to use instead, its moderated and watched. That’s where people go to find answers, not here. Did you use live installer? Congratulations on a great release. Installation (via “install”, rather than “upgrade”) worked smoothly on 2 devices. Both had problems with sound. Both use sound driver snd_hda_intel and that needs phonon4-qt5-gstreamer installing, to use instead of phonon4-qt5-vlc. Fix that and all just worked. * kamoso locks up and fails to show video on a Dell XPS 1530 laptop. Tried kamerka instead and that just worked. * Plasma : “Desktop Theme”. I wanted to install a new theme. So I selected “Get New Theme”, and then selected “Glassified” from the list and “Install”. 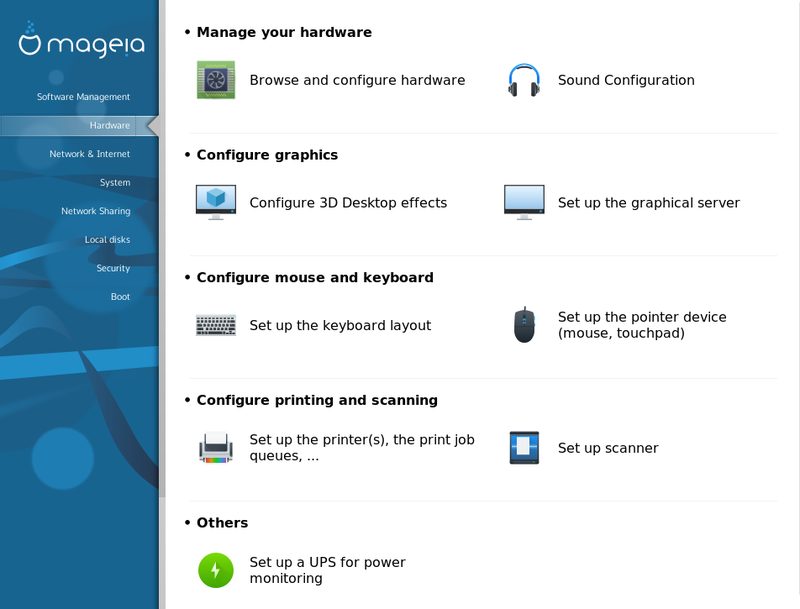 It says it installed it, but doesn’t then show up in the Mageia KDE System Settings dialog! Thanks for the feedback! Would you mind opening bug reports for the three issues you had on https://bugs.mageia.org? For the sound issue, did you reuse your /home and user account from Mageia 5? If so maybe it was configured for gstreamer there and it’s not properly converted to vlc for Mageia 6, so we should likely ensure that phonon4-qt5-gstreamer gets installed too for upgrades/home reuses. I have 2 devices. On the laptop I reformatted the hard disk, so no existing /home. On the PC I reused the hard disk, so existing /home. BOTH had the problem. Will raise bugs as requested. Thanks for your time Remi. I’m having this issue too, I’ll pass it on to the Plasma packagers to see what the issue is. This is also the case for plasmoids – the plasma widgets, you can put them in the above plasma directory, but in a plasmoids folder. I’m new to Mageia and I try to work around it specially installing apps, but is not letting me install 98% of them because it asked to install a “Core Release” this is very discouraging on the behave of the Mageia team developers and I try so many times to get around it to no avail and also is there a better screen to look at for people with bad eye sight “some kind of eyesaver to protect your vision” I need an answer if there is a way to get apps install in this releases 5 and 6 32 bit or I just move to another distro. Almost sure you don’t set up the repositories or choice a outdated mirror.